The book presents practices used by clients, providers and advisors to realise value from LSO. The book is based on data from 27 LSO providers, interviews with clients, consulting assignments and lessons learned from prior Information Technology Outsourcing (ITO) and Business Process Outsourcing (BPO) research. 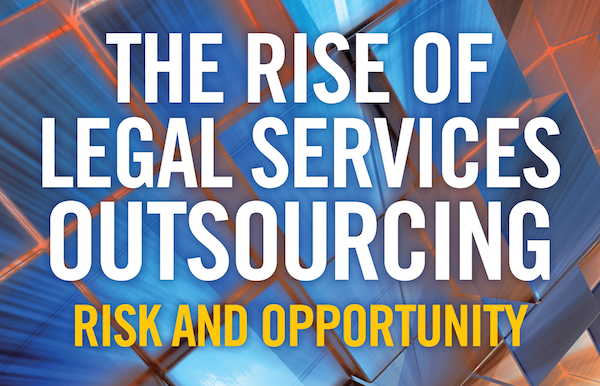 ‘The Rise of Legal Services Outsourcing’ addresses the transformation of legal work, LSO strategy, provider selection and contractual governance, as well as predicting the trends that will come to shape the LSO market. The book is available, in hardback, paperback and kindle versions direct from Bloomsbury and also from Amazon.